PatternMaker Software has developed flexibel programms especially for drafting PATTERNS for garments or for creating Pattern Collections, the predesigned patterns. There are different versions for the home sewer, the professional pattern maker and for the designer. 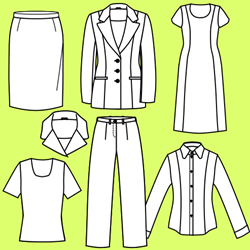 Select a design from a Pattern Collection and enter your measurements. The pattern will be drafted with these measurements. Print the patterns on true scale with your printer. Is included with every Pattern Collection. Make patterns on your own measurements by using a Pattern Collection. Edit the patterns with the many tools in the program to the model you want. Print your patterns on real size with your printer. A special version for the home sewer. 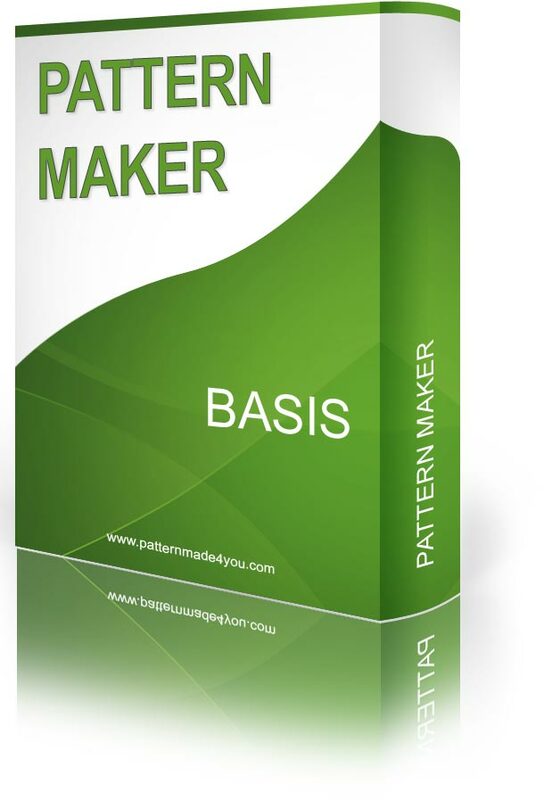 Make with PatternMaker your own digital patterns , save them and edit them as you wish. You can print your patterns with your printer at home. An ideal programm for a professional patternmaker! First draft the patterns of your fashion designs. Then grade your patterns in standard sizes (resizing) and create your own collections, ready for production. Special for designers who want to draft their collection in digital patterns. Create with MacroGen your Pattern Macros , a predesigned pattern of your own design, which can be used in PatternMaker to get made-to-measure patterns. In MacroGen you program your patterns and convert them into a Pattern Macro. This combiproduct is ideal for making predesigned patterns of your designs. In MacroGen you programm your patterns into Pattern Macros. In PatternMaker you draft a predesigned made-to-measure pattern with the Pattern Macro. Ideal for designers who want to create and sell made-to-measure patterns. A PATTERN COLLECTION consists of one or more predesigned models, the Pattern Macros, to draw made-to-measure patterns. You can print these patterns on real size with the free Basic version or higher version of PatternMaker. This Collection Women 1 consists of a set of 8 base models, for a complete ladies wardrobe. With the many style options in the macros you can sew a different model again and again. Free included with PatternMaker DeLuxe or higher. 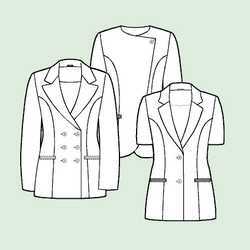 The pattern collection SuperJackets offers a various amount of jackets and blouses to sew. With the many ease options and the various other style options it is possible to sew very different garments again and again. The pattern collection SuperPants consists of several different pants models with all kinds of style options. 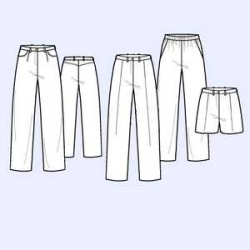 You will create another pants model over and over. The pattern collection SuperSkirts has all kind of different skirt models to make a modern skirt model. Every skirt model has also several style options to choose from. 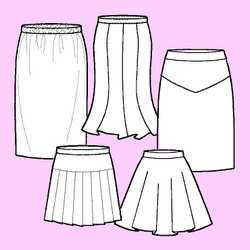 You can sew over and over a different skirt model in fashion. In the Lingerie collection you can choose out of 6 lingerie models for sewing your own made-to-measure foundation garments. The patterns are drafted based on own body measurements, combined with specific additional lingerie measurements. The Pattern Collection Sportswear contains several sportwear models for men and women. You can choose from three shirts, three jackets and four pants models with a varity of style options. The latest updates of PatternMaker 7.5 and MacroGen 4.5 can be downloaded from the website. has become dealer of PatternMaker software in Europe . 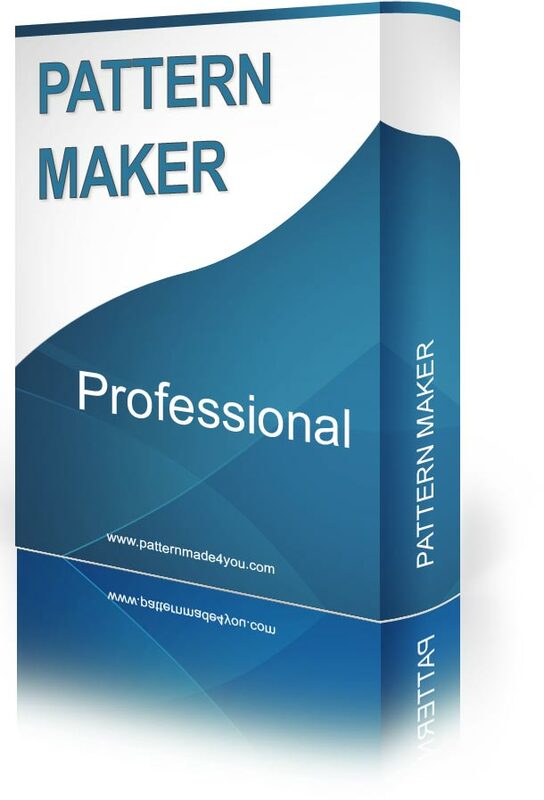 Since 1994 PatternMaker Software is developing all kinds of pattern drafting software for sewing patterns or for creating predesigned macros for Made-to-Measure patterns. Our main products are the programms PatternMaker, MacroGen and Pattern collections - special programms to draft patterns by computer. You are registered for the newsletter Unfortunately something went wrong.